Be architect of the digital future! We all wish to design, construct and manage buildings of the future: functional, energy-efficient and beautiful at the same time. It is obvious to all of us that BIM help make better design decisions, reduce errors and improve multidisciplinary communication. The Open BIM approach can be your powerful ally to achieve this! The everyday mix of workshops, lectures and winter leisure activities will keep you off your daily routine. It’s up to you to strike the right balance! Friendly atmosphere, picturesque setting, mountain air and lovely home-made local cuisine are guaranteed! New knowledge, fresh opportunities, snowy slopes of Julian Alps! Meet design leaders of the digital transformation! 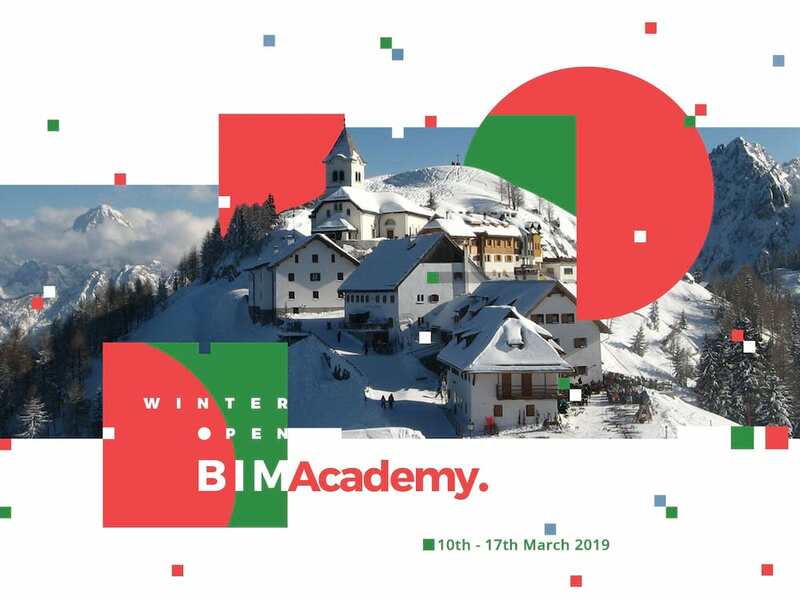 Get inspired by the Open BIM lectures, workshops and discussions. Exchange and share your knowledge and experience. All workshops are held in English. Detailed lectures and workshops program will be announced later.